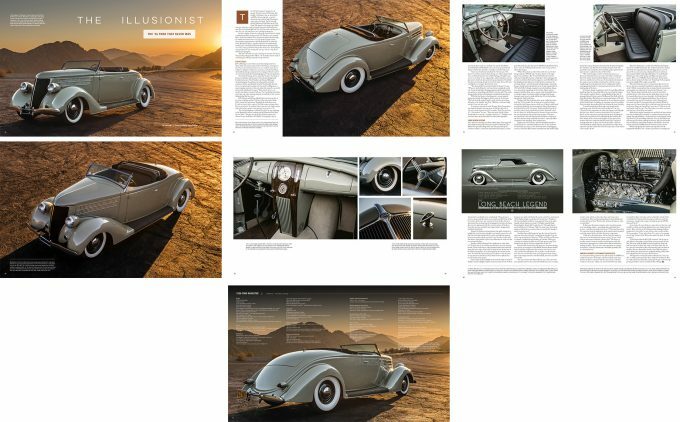 I don’t get too many chances to photograph hot rods, so I was pleasantly surprised to be published not once but twice in the latest issue of Rodder’s Journal. The first is a stunning Lincoln V12-powered 1936 Ford Roadster built by one of my clients, Hollywood Hot Rods, and the second is a nifty little 1928 Ford Model A roadster pickup. I enjoyed photographing both, and was happy to see them both end up in such a beautiful magazine. The issue is on sale now.